Send your request below and we will get back to you within 24 hours. having read and agreed with the Privacy Notice and Terms of Service. We've had an amazing time in Corfu during the last 4 days and a big part of it is due to Nikos and his wife who were super friendly and helped with everything we needed during out time. 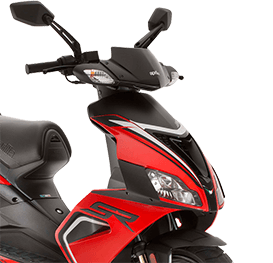 Simple, convenient and great value: A 125-scooter for 10 days, pick up and drop off at the airport. We placed our 2 cabin backpacks in front of the seat and off we drove for the sunset - no need for any transfers. Great service and very kind people, the scooters are in perfect condition. Nikos and hia wife were very helpful - great price, communication via e-mail, delivery (and pickup) to airport. Scooter quality are superb. Would definately recommend to others.